The spas, indoor and outdoor, offer endless opportunities to relax at your own home every day of the year. Spas give you a high health beneficial component. The hot water and the powerful massage relax muscles and arteries, helping to reduce stress. A jacuzzi is really comfortable and easy to use due to the fact that is always prepared to take a bath. As well as that, thanks to its heating system, the filtration equipment and cover the tub, you can enjoy a nice hot bath at any time of day. On the other hand, the spas are very easy to maintain. The cleaning agent is added once a week and the water is changed every six months. A Jacuzzi® always ready to use at any time of the year. A Jacuzzi®i is easy and confortable to use. The water temperature is adjusted with great precision – up to half degree of accuracy. The Jacuzzi® has an automatic water filtration system. 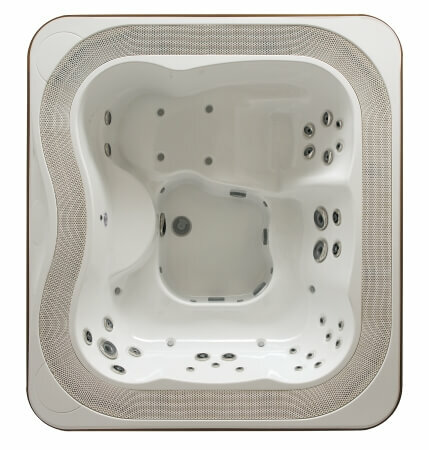 The Jacuzzi® is characterized by its structure and durable materials. The Jacuzzi® has ergonomic seats. The Jacuzzi® has multiple extras options. A Jacuzzi® is easy to install. A Jacuzzi® brings luxury and relaxation to your routine. Browse our selection of spas and contact us for all the information.